Phnom Penh takes reservations for groups of 6 or more so we only waited for 10 mins or so to get a seat which is pretty good considering the hoards of people there for lunch! As usual, it looks pretty hectic in there but service was really fast. Gotta keep that turnover rate up! 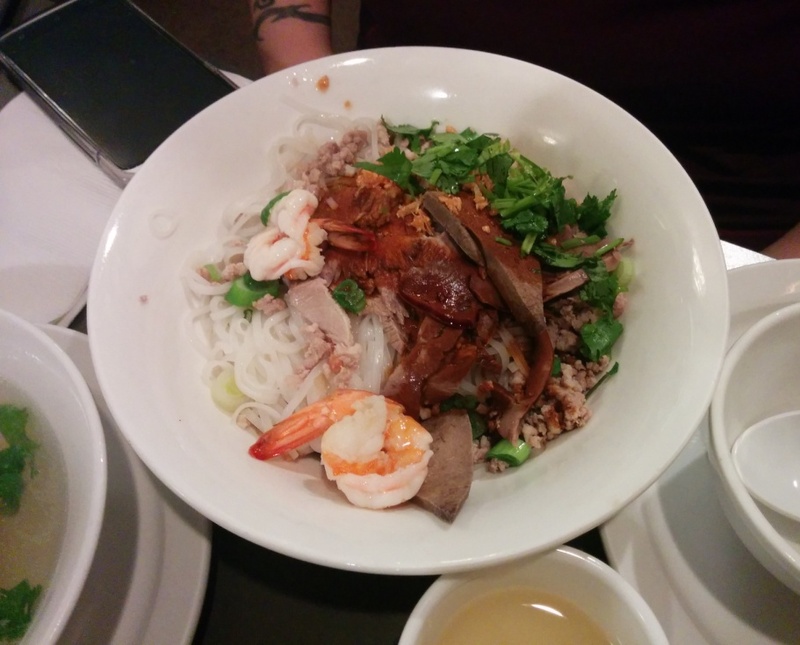 This was one of their Dry Mixed Noodle bowls forgot what was in it… shrimp and Vietnamese pork on rice noodles? I didn’t try this but it looked good. This was the Stewed Beef with Rice Noodles in soup. It came with carrots and the soup had a tomato/carrot flavour to it. 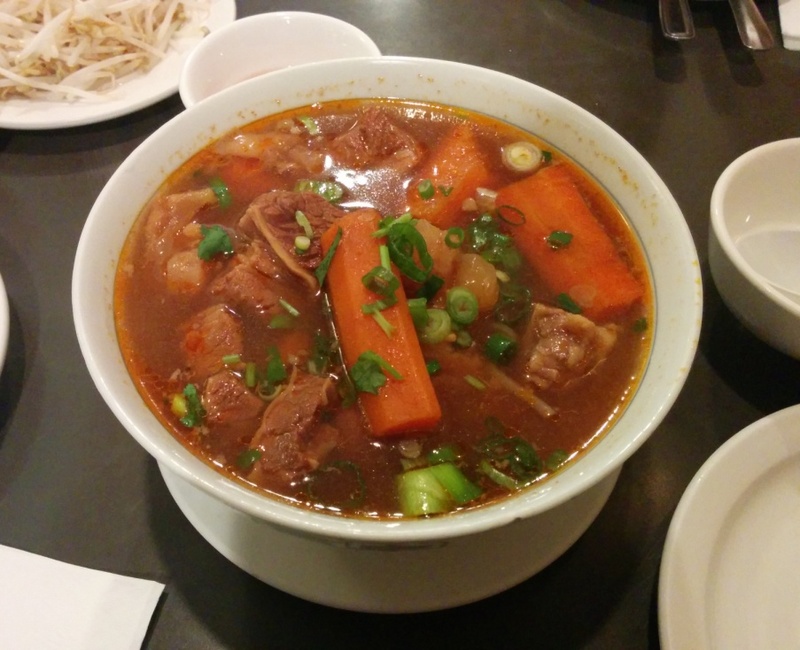 The beef brisket was soft and flavourful from the soup. It’s not really my type of soup though so I wouldn’t get it again. And now for the Marinated Butter Beef! This is also a must order item here if you didn’t know already! The beef is lightly seared and there’s a lot of cilantro and I believe balsamic vinegar and it just tastes really good mixed up! You get a lot of the cilantro flavour with the tender beef and the acidity from the vinegar is refreshing. I could probably eat this whole plate all by myself! I love that it’s torched right in front of you and the top makes that satisfying crack as you dig in. 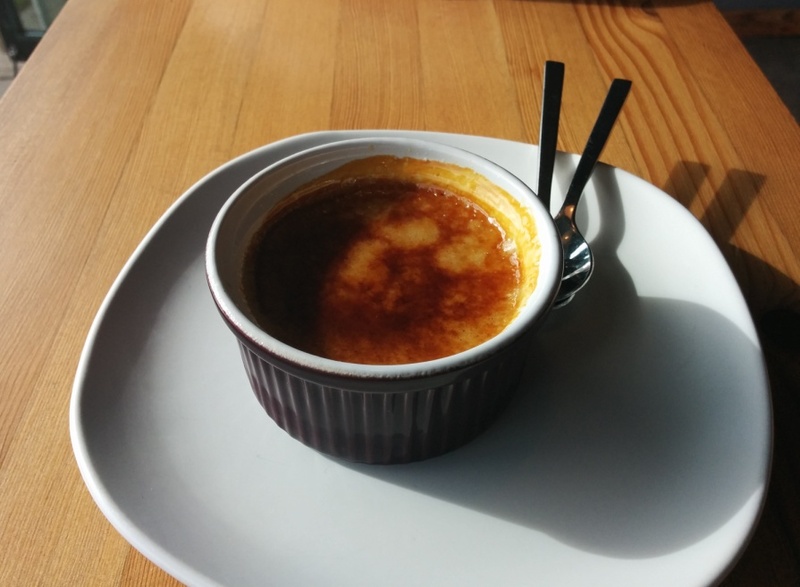 The creme brule was bursting with Earl Grey flavour and it was just a heavenly treat. 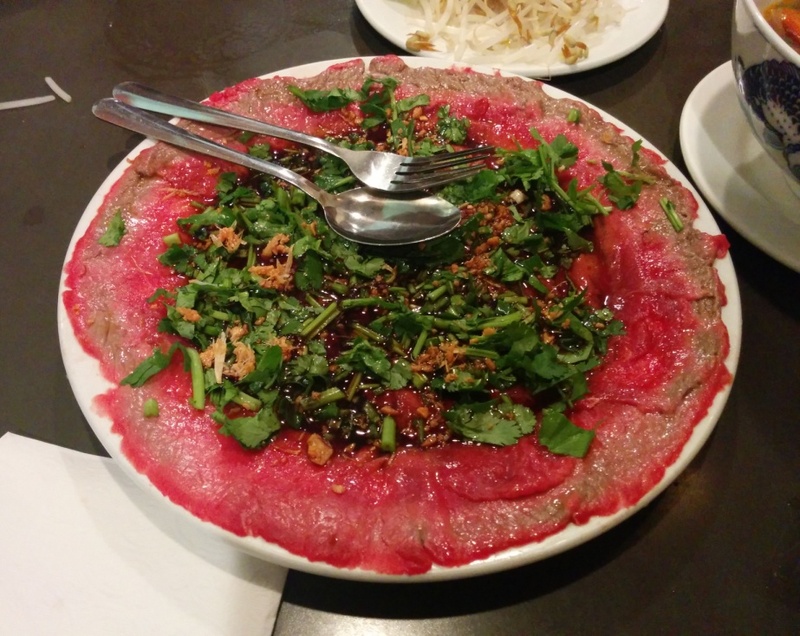 This entry was posted in Food Reviews, Vietnamese and tagged beef, beef brisket, chicken wings, creme brule, earl grey, rice noodles. Pepper Lunch opened in the small complex under London Drugs on No. 3 Road and also conveniently next to Beard Papa’s! I arrived right at 6pm and there was no line up yet phew! However, 15 mins later there was a line up of 10 people. I’m probably the last person to be blogging about them now (although this is a late blog post). The restaurant looks pretty nice with mostly booth seating and large pictures on the wall. You order at the front and then they tell you which table to go to. 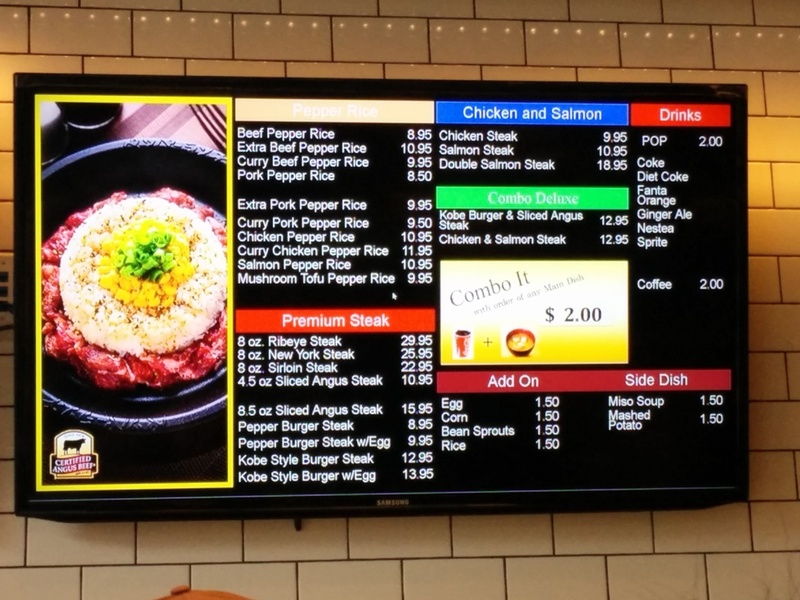 They have some pricier premium steak options and you can make it a combo with a soft drink and miso soup for an extra $2. 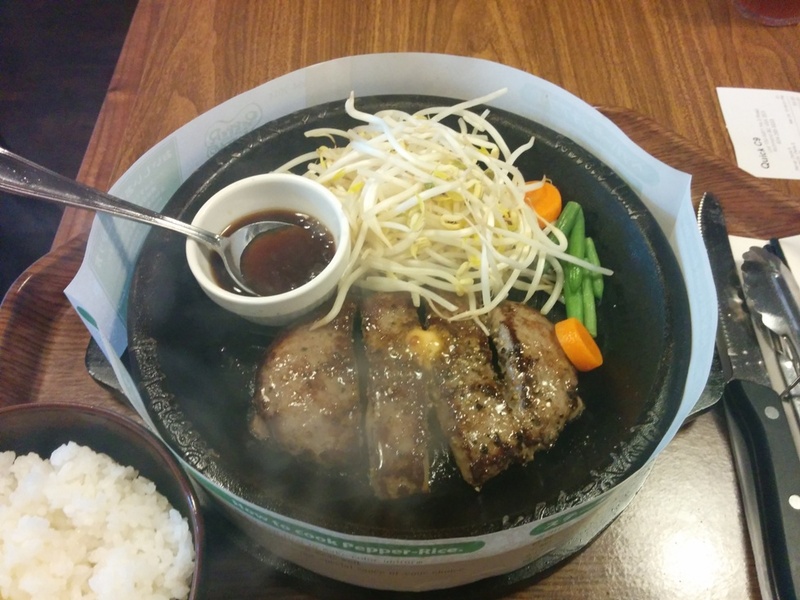 I had the Pepper Burger Steak which came with some bean sprouts and greens as well as some kind of garlic soy sauce. The plate was sizzling so much it was steaming up my phone camera when I tried to take a picture. I quickly moved the meat onto of the bean sprouts so that it wouldn’t burn and so the bean sprouts could be cooked more. The meat had a distinct peppery flavour and it was really soft. I thought it was similar to the one I had at Suika before but much more peppery and in a good way. Since my rice came on the side, I added a lot of their honey garlic soy sauce to make it tastier. On the other hand, I probably could’ve just dumped my rice onto the hot plate and mixed it up. This was the Extra Beef Pepper Rice combo with an egg added. 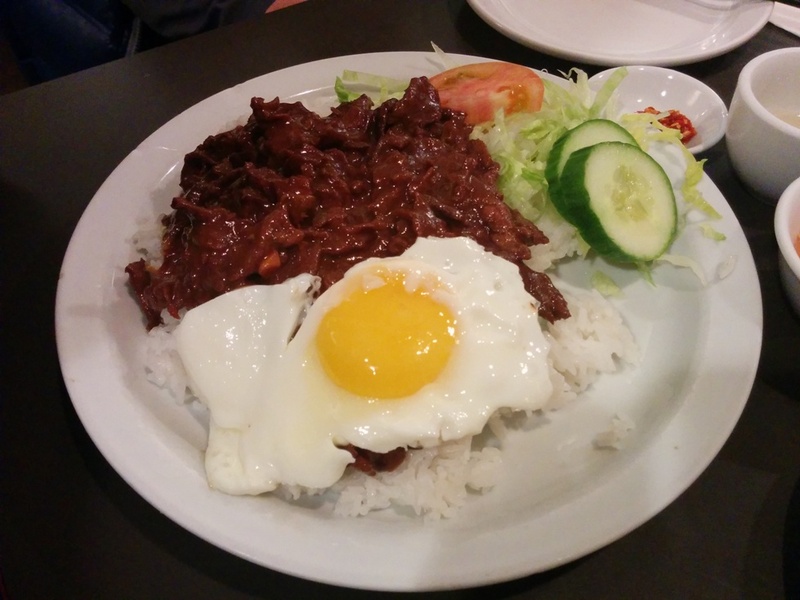 The beef and rice definitely tasted peppery! There doesn’t look like a lot of “extra” beef though. Teppan Kitchen in the Aberdeen food court serves up something very similar (I think I’ve only been to Teppan Kitchen twice so can’t really compare much) but the quality of the meat seems to be slightly better here and there are more options. The food was good but it’s not really something I would usually line up for since I’m not that into sizzling plates but you should give it a try when they’re less busy. I gotta say their service is pretty efficient! Someone quickly clears the table after a group leaves and they also check in on you to see if everything is good. 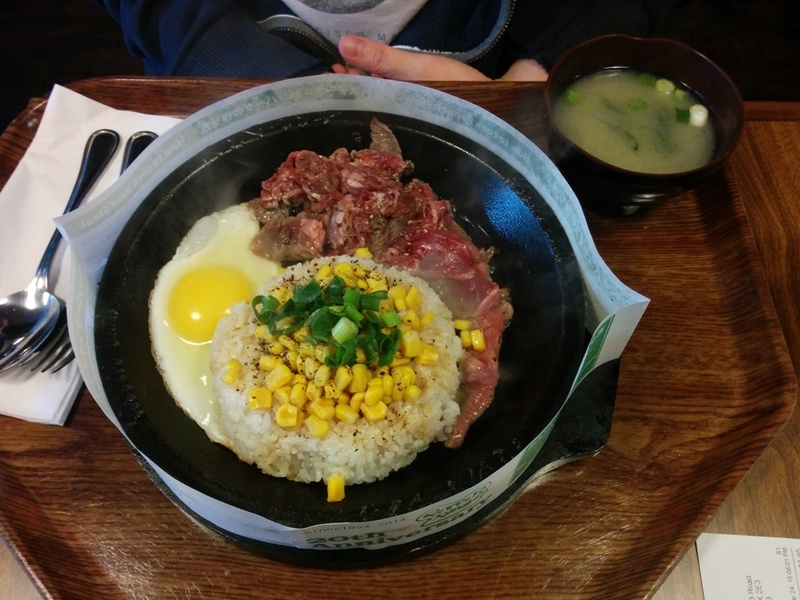 This entry was posted in Cafe/Bakery, Food Reviews, Japanese and tagged beef, black pepper steak, miso soup, sizzling hot plate. We were feeling exotic so we decided to go for Thai! Ok as usual I decided but still hehehe We found an entertainment book coupon too and the deal was “buy one lunch/dinner entree and get a complimentary one of equal or lesser value for free” so that was a pretty good deal! We went at like 2:30pm so the place was empty. The interior is really nice too. They have some nice lunch specials for $9 or so but then our coupon wouldn’t work so we opted to use the coupon instead. After pondering the menu for a while I think I got this “Neua Pad Khing (Beef with ginger, onions, mushrooms & green onions). $13.50″. Except instead of mushrooms we had spinach. They also serve ostrich!!! :O Not too keen on trying that though. We also got rice to go with our entrees this cost $5. We didn’t actually ask how much rice we’d be getting but they gave us this and it was good for two people. Rice is totally necessary when there’s so much sauce. I think on the receipt it said it was jasmine rice or coconut rice or something but I couldn’t really tell since I was really hungry and I just ate it. This restaurant is part of the Thai House group and it fits right into the Yaletown neighbourhood. Maybe I will try the lunch specials some other time. 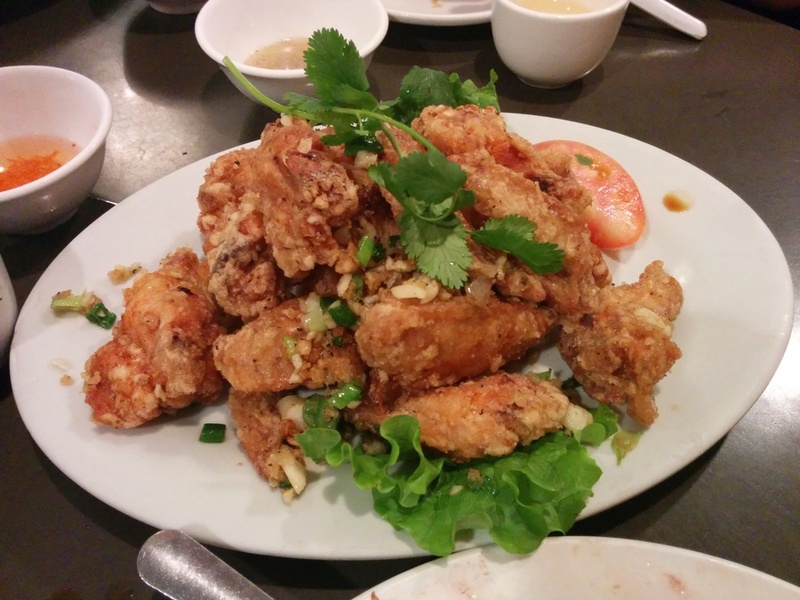 This entry was posted in Food Reviews and tagged beef, Seafood, Urban Thai Bistro.